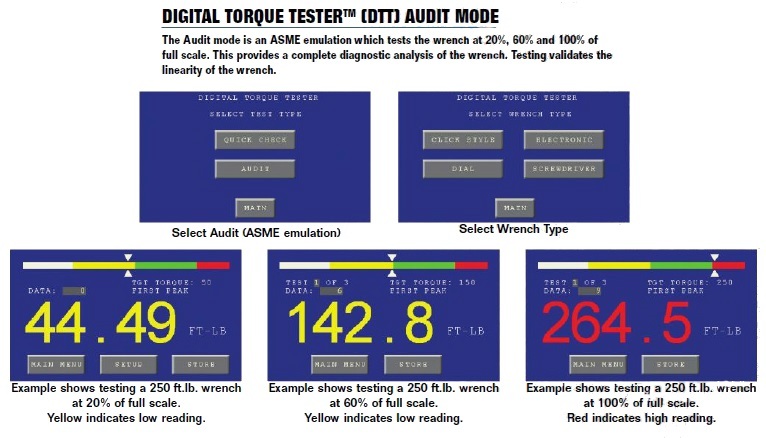 The Digital Torque Tester (DTT) is designed to be an affordable torque tester that can be mounted on a wall or used in a bench-top vise to allow the operator to conveniently test torque wrenches and torque screwdrivers. It features an easy to use touch pad screen to capture peak torque values during a test in real time, and download stored torque data to a PC. All DTT torque testers are sold in a kit with the tester, carrying case and AC/DC power supply. 1500uE, 3mV/V F.S, 3.75 excitation. 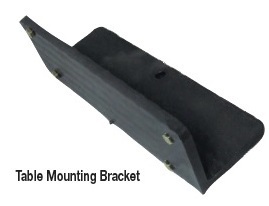 Dimensions: W - 10” x H - 16” x D - 2.5” Weight: (Tester Only) - 10.7 lbs., (with Carrying Case) - 17.4 lbs.